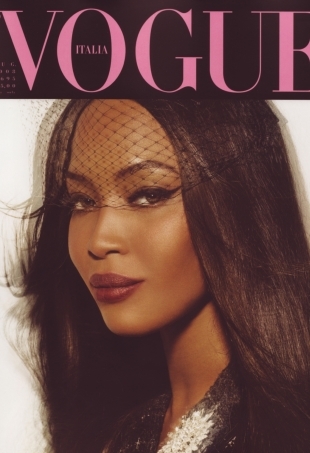 We reminisce about Vogue Italia's gorgeous 'A Black Issue' from 2008. This week in celeb twitpics, Chanel Iman poses for Wall Street Journal Magazine, Evan Rachel Wood tries on facial hair, Zac Posen reveals a pre-fall design, and more. This week, the star-studded world of Twitter revealed the Kardashians’ new fluorescent manicures, Cindy Crawford’s wedding kiss, and more.